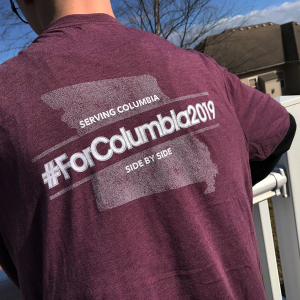 One of the ways ForColumbia strives to love and serve our neighbors is by partnering with our city in ways that put us in touch with those who are more marginalized in Columbia – the chronically poor, the elderly, single-parent households, those with disabilities. This year, we are once again serving significantly in housing managed by the Columbia Housing Authority by sending hundreds of volunteers into public housing areas, including Park Boulevard. We are cleaning up neighborhoods and organizing landscaping and other beautification projects, providing opportunities for individuals to connect and work alongside each other. When we give our time for the benefit of others, we send the message that they are valuable. Come dressed appropriately for painting. Yes, older children who can assist in this project are welcome to participate, but we ask that children not be allowed to paint.